(CNN) You have an early-morning golf match. You make coffee and contemplate the optimal breakfast to help you hit the ball straighter and calm those first-tee jitters. 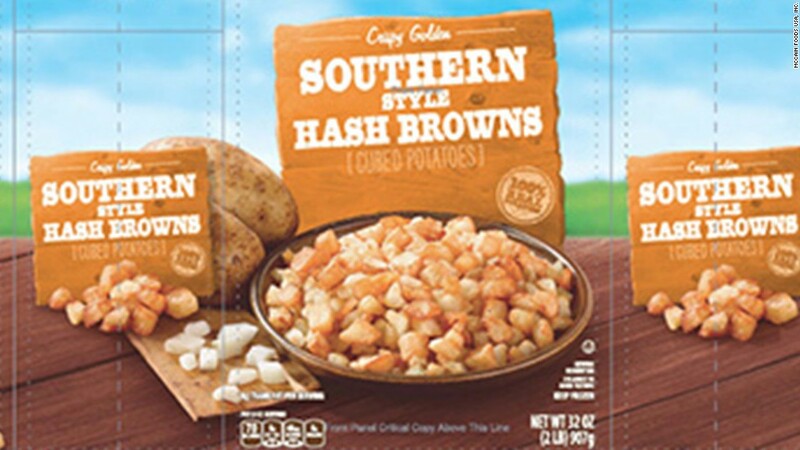 For now, skip frozen hash browns sold in nine states under the Harris Teeter and Roundy’s brands. The potatoes may contain pieces of golf balls, according to the hash brown maker. “Consumption of these products may pose a choking hazard or other physical injury to the mouth,” says the notice of the voluntary recall. There have been no reported injuries, according to the company. McCain Foods is recalling 2-pound bags of Roundy’s Brand Frozen Southern Style Hash Browns from Marianos, Metro Market, and Pick ‘n Save supermarkets in Illinois and Wisconsin. It is also recalling 2-pound bags of Harris Teeter Brand Frozen Southern Style Hash Browns sold in North Carolina, South Carolina, Virginia, the District of Columbia, Delaware, Florida, Georgia and Maryland. The production code on the back of the packaging is B170119, the company says. The contaminated products should be thrown away or returned to the place of purchase. McCain Foods has not responded to a request for further comment.